Amazing Milestone Moments™, Tales from the Celebration Room. At Helloprint we love to celebrate all our achievements. 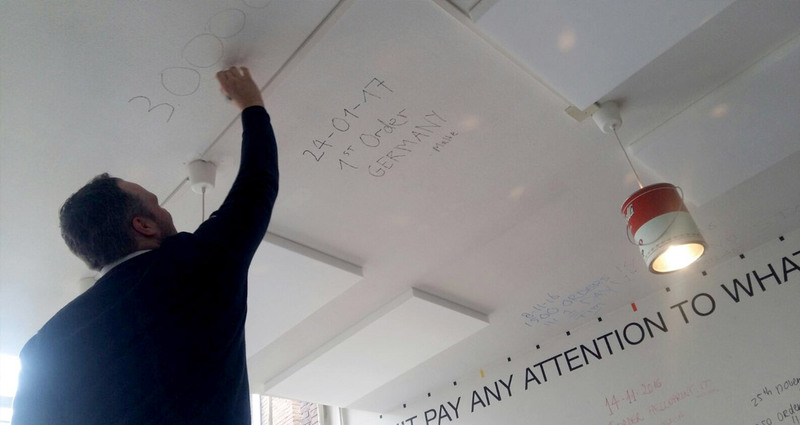 Ever since our first order in 2013 we made a tradition of writing our Amazing Milestone Moments™ on the walls and ceilings of our Celebration Room. It's not only because we like to celebrate as much as possible, but also because it's scientifically proven that it motivates people when you celebrate achievements. We even have a jingle that goes with these moments. The Voice of Koen van Dam (one of the founding fathers of Helloprint) is the sign to raise our glass of champagne and to strive to smash the next targets.